The second Mighty Oaks Solar Strength Band release (titled simply ‘MOSSB’) continues where 2012’s ‘Validus Balanus’ left off. It features the same lineup – Bret Judges, Owen Keenan and Ron Duffy (it even features Gary Edmonds on one track) but whereas ‘Validus’ was more of a songwriter’s showcase with the music playing a supporting role, ‘MOSSB’ puts the music to the forefront. There is a more Progressive feel to the tracks (‘Fortune Suite’ clocking in at just over 11 minutes in length) and overall the band hits a groove together, the track list feeling rather like a set list for a concise Live appearance. Enhancing this lived-in quality is the mastering of the record which was all done to analog tape. 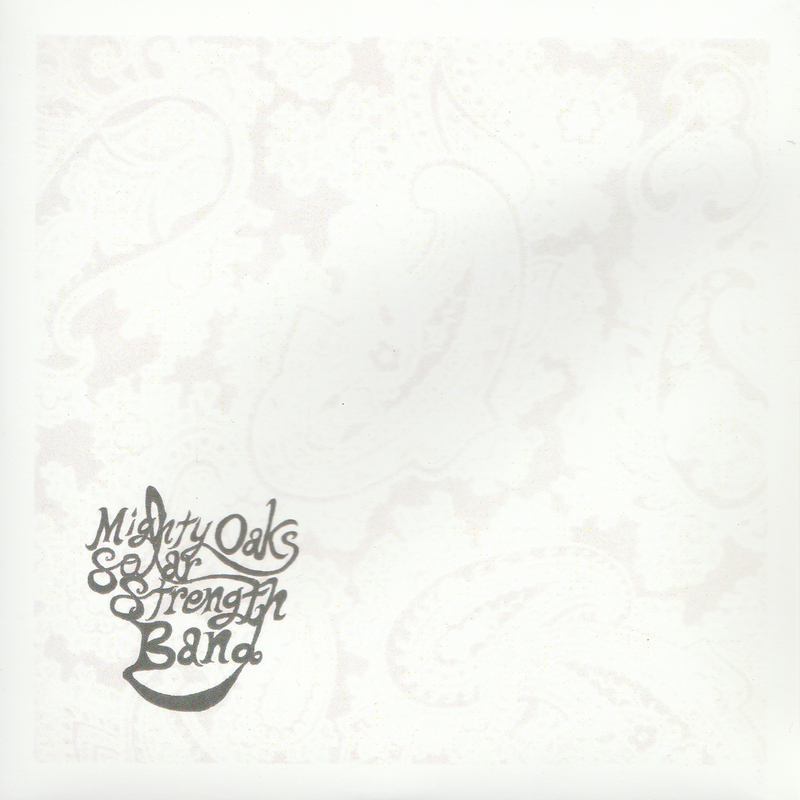 Interestingly, it was during sessions for this recording that the Mighty Oaks Solar Strength Band also provided instrumental backing for one of their own influences’ upcoming solo recordings – ‘My Loving’ by ex-Steppes frontman John Fallon – which might explain the inspired feel throughout.